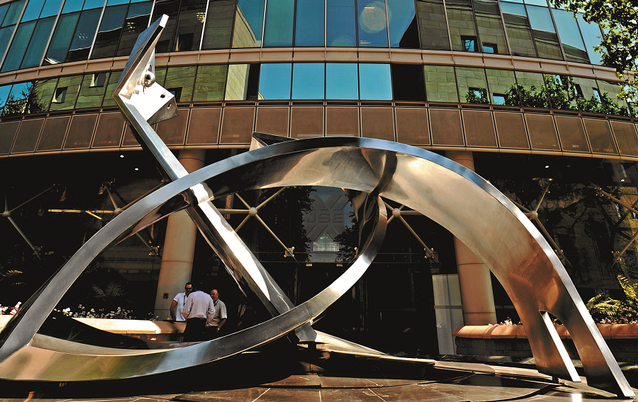 The JSE ended off a choppy week by closing lower on Friday, as the long-anticipated trade war between the US and China got underway in earnest. The all share fell 0.17% to 57,313.9 point and the top 40 0.14%. Banks fell 1.77%, financials 1.77%, and general retailers 1.03%. Gold miners firmed 0.45%. Analysts said the reaction of global markets to the US imposition of $34bn in tariffs against China on Friday was somewhat subdued, but European, Asian and local markets all edged lower. China, in turn, immediately announced its own reciprocal tariffs, and said it would lodge a dispute with the World Trade Organisation. The rand spent much of the day weaker, before firming slightly in the afternoon. This followed the release of US non-farm payrolls data for June, the week’s primary data release, which indicated that wage growth in the world’s largest economy was little changed from May. The number of jobs added by US employers, however, increased faster than expected in June, while the figures for May and April were also revised upwards. The jobs numbers follow US Federal Reserve minutes on Thursday that indicated policy makers were concerned about the effect of a trade war, and had discussed a possible recession. Locally, diversified miner Anglo American lost 1.2% to R304.57, while Glencore added 0.67%. Aveng rocketed 33.33% to 12c, after announcing earlier that Aton, which is looking to acquire Murray & Roberts, had bought a quarter of its share capital. Murray & Roberts, which is looking to acquire Aveng, gained 0.52% to R17.50. Vodacom gave up 1.46% to R127.10. Star slipped 0.89% to R16.65, after saying earlier it had interdicted four former Tekkie Town managers from conducting any actions that could destabilise Tekkie Town operations. Naspers gained 1.47% to R3,438.53. Shortly after the JSE closed the Dow was up 0.16% to 24,396.63 points, while in Europe, the FTSE 100 and DAX 30 were flat, while the CAC 40 had lost 0.16%. At the same time, gold had given up 0.15% to $1,255.73 an ounce while platinum had gained 0.21% to $843.93. Brent oil had lost 0.89% to $76.91 a barrel. The top 40 Alsi futures index gained 0.34% to 51,510 points. The number of contracts traded was 19,194 from Thursday’s 14,676.